B. Byrd, R. Joyce, O. Bar-Yosef, R. Preucel, and, most of all, G. Rollefson and M. Chesson, have been crucial to the development of this chapter. While not agreeing with some of the concepts and interpretations presented in this manuscript, their constructive criticism has immeasurably improved the clarity and organization of it. Arensburg, B.,and Hershkovitz, I., 1988,Neolithic Remains. In NahalHemar Cave, edited by O. Bar-Yosef and D. Alon, pp. 50-58. Israel Department of Antiquities and Museums, Jerusalem. Bar-Yosef, O., and Alon, D., 1988, Excavations in the Nahal Hemar Cave. Atiqot 18. Bar-Yosef, O., and Belfer-Cohen, A., 1989, The Levantine "PPNB" Interaction Sphere. In People and Culture in Change: Proceedings of the Second Symposium of Upper Paleolithic, Mesolithic, and Neolithic Populations ofEurope and'the Mediterranean Basin, edited by I. Hershkovitz, pp. 59-72. British Archaeology Review, International Series 508. BAR, Oxford. Bar-Yosef, O., and Belfer-Cohen, A,, 1991, From Sedentary Hunter-Gatherers to Territorial Farmers in the Levant. In Between Bands and States, edited by S. A. Gregg, pp. 181-202. Center for Archaeological Investigations, Carbondale, Illinois. Bar-Yosef, O., and Meadows, R., 1995, The Origins of Agriculture in the Near East. In Last Hunters-FirstFarmers:New Perspectives on thePrehistoric TransitiontoAgriculture, edited by Price, T. D. and A. G. Gebauer, pp. 39-94. School for American Research, Santa Fe, New Mexico. Belfer-Cohen, A,, 1991, The Natufian in the Levant. Annual Review ofAnthropology 20:167186. Berreman, G. D., 1981, Social Inequality: A Cross-Cultural Analysis. In Social Inequality: Comparative and Developmental Approaches, edited by G. D. Berreman, pp. 3-40. Academic Press, New York. Binford, L. R., 1971, Mortuary Practices: Their Study and Potential. In Approaches to the Social Dimensions of Mortuary Practices, edited by J. A. Brown, pp. 6-21.Memoirs of the Society for American Archaeology, no. 25. Blanton, R. E., 1995, The Cultural Foundations oflnequality in Households. In Foundations of Social Inequality, edited by T.D. Price and G.M. Feinman, pp.105-127. Plenum, New York. Boehm, C., 1993, Egalitarian Behavior and Reverse Dominance Hierarchy. Current Anthropology 34(3):227-254. Butler, C., 1989, The Plastered Skulls of 'Ain Ghazal: Preliminary Findings. In People and Culture in Change. BAR International Series, edited by I. Hershkovitz, pp. 141-145. British Archaeology Review, International Series 508. BAR, Oxford. Byrd, B. F., 1994, Public and Private, Domestic and Corporate: the Emergence of the Southwest Asian Village. American Antiquity 59(4): 639-666. Carr, C., 1995, Mortuary practices: Their Social, Philosophical-Religious, Circumstantial, and Physical Determinants. Journal of Archaeological Method and Theory 2(2):105-200. Cauvin, J., 1994,Naissance des divinités, Naissance de l'agriculture. CNRS, Paris. Chapman, R., Kinnes, I., and Randsborg, I. (eds. ), 1981, The Archaeology of Death. Cambridge University Press, Cambridge. Cornwall, I. W., 1981, Appendix A. The Pre-Pottery Neolithic Burials. In Excavations atJeri-cho: TheArchitecture and Stratigraphy of the Tell, edited by T. A. Holland, British School of Archaeology in Jerusalem, Jerusalem. de Contenson, H., 1966, Les Trois Premières Campagnes de Fouilles à Tell Ramad (Syrie). C. R. Académie des Inscriptions et Belles Lettres, 531-536.
de Contenson, H., 1971, Tell Ramad, a Village of Syria of the 7th and 6th millennia B.C. Archaeology 24:278-283.
de Contenson, H., and van Liere, W. J., 1966, Premier sondage à Bourqras en 1965. Rapport préliminaire. Annales Archéologiques Arabes de Syrie 16:181-192. Crocker, J. C., 1977, The Southern Way of Death. In TheNot-so-Solid South, edited by J, K. Morland, pp. 114-129. Southern Anthropological Society, Athens, Georgia. Downs, R. E., 1956, The Religion of the Baré e-speaking Toradja of Central Celebes. Excelsior, The Hague. Earle, T. K., 1987, Chiefdoms in Archaeological and Ethnohistoric Perspective. Annual Review of Anthropology 16:279-308. Feinman, G. M., 1995, The Emergence of Inequality: A Focus on Strategies and Process. In Foundations ofSocialInequality, edited by T. D. Price and G. M. Feinman, pp. 255-279. Plenum, New York. Fentress, J,, and Wickham, C., 1992, SocialMemory. Blackwell, Oxford. Flanagan, J. C., 1989, Hierarchy in Simple "Egalitarian" Societies. Annual Review of Anthropology 18:245-266. Flanagan, J. C. and Rayner, S., 1988, Rules, Decisions, and Inequality in Egalitarian Societies. Gower, London. Fried, M., 1960, On the Evolution of Social Stratification and the State. In CultureandHistory, edited by S. Diamond, pp, 713-731. Columbia University Press, New York . Fried, M., 1967, The Evolution ofPolitical Society. Random House, New York. Garfinkel, Y., 1987, Yiftahel: A Neolithic Village from the Seventh Millennium B.C. in Lower Galilee, Israel. Journal of Field Archaeology 14:199-212. Garfinkel, Y., 1994, Ritual Burial of Cultic Objects: The Earliest Evidence. Cambridge Archae-ologyJournal 4(2):159-88. Garstang, J., Dropp, J. P., and Crowfoot, J,, 1935, Jericho: City and Necropolis. Liverpool Annals of Archaeology and Anthropology 22:143-173. Geertz, C., 1973, Interpretation of Cultures. Basic Books, New York. Gerlach, L. P., and Gerlach, U. M., 1988, Egalitarianism, Collectivism, and Individualism: The Digo of Kenya. In Rules, Decisions, and Inequality in Egalitarian Societies, edited by J. G. Flanagan and S. Rayner, pp. 113-144.Gower, London. Goring, E., 1991,The Anthropomorphic Figures. In Lemba Archaeological Project II.2:A Ceremonial Area at Kissonerga, edited by E. Peltenburg, pp. 39-60. Paul Aströms, Gothenburg. Goring-Morris, A. N., 1991, A PPNB Settlement at Kfar Hahoresh in Lower Galilee: A Preliminary Report of the 1991 Season. Journal of the Israel PrehistoricSociety 24:77-101. Grissom, C., 1996, Conservation of Lime Plaster Statues from 'Ain Ghazal. In Archaeological Conservation andlts Consequences, editedbyR. AshokandP. Smith, pp. 70-75.Interna-tional Institute for Conservation of Historic Artistic Works, London. Hayden, B., 1995, The Origins of Agriculture in the Near East. In Last Hunters-FirstFarmers: New Perspectives on the Prehistoric Transition toAgriculture, edited by T. D. Price and A. G. Gebauer, pp. 273-299.School for American Research, Santa Fe, New Mexico. Hershkovitz, I., and Gopher, A., 1990 Paleodemography, Burial Customs, and Food-Producing Economy at the Beginning of the Holocene: A Perspective from the Southern Levant. Mitekufat Haeuen, 23:9-48. Hillman, G. C., and Davies, M.S., 1990, Measured Domestication Rates in Wild Wheats and Barley under Primitive Cultivation and Their Archaeological Implications. Journal of World Prehistory 4(2):157-222. Hertz, R., 1960, A Contribution to the Study ofthe Collective Representation ofDeath. Free Press, New York. Hodder, I., 1988, Symbolic and Structural Archaeology. Cambridge University Press, Cambridge. Hodder, I., 1990, The Domestication ofEurope. Blackwell, Oxford. Hudson, A. B., 1966, Death Ceremonies of the Padju Epat Ma'anyan Dayaks. SarawakMu-seumJournal 13:341-416. Johnson, G. A,, 1982, Organizational Structure and Scalar Stress. In Theory and Explanation in Archaeology, edited by A. C. Renfrew, M. J. Rowlands, and B. A. Segraves, pp. 389421. London: Academic Press. Joyce, R. A., 1993, Social Dimensions of Preclassic Burials. Ritual Behavior, Social Identity, and Cosmology in Pre-classic Mesoamerica. Dumbarton Oaks, Washington. Kan, S., 1989, Symbolic Immortality: The TlingitPotlatch ofthe Nineteenth Century. Smithsonian Institution Press, Washington. Keene, A. S., 1991, Cohesion and Contradiction in the Communal Mode of Production: The Lessons ofthe Kibbutz. In Between Bands and States, edited by S. A. Gregg, pp. 376394. Southern Illinois University, Carbondale, Illinois. Kenyon, K. M., 1981, Excavations atJericho. Vol, III: The Architecture and Stratigraphy ofthe Tell, VolumeIII. British School of Archaeology in Jerusalem, London. Kirkbride, D., 1968,Beidha 1967:An Interim Report. PalestineExploration Quarterly 100:9096. Kuijt, I., 1994, Pre-Pottery Neolithic A Settlement Variability: Evidence for Sociopolitical Developments in the Southern Levant. Journal ofMediterranean Archaeology 7:165-192. Kuijt, I., 1995, New Perspectives on Old Territories: Ritual Practices and the Emergence of Social Complexity in the Levantine Neolithic. Ph.D. dissertation, Harvard University. University Microfilms, Ann Arbor, Michigan. Kuijt, I., 1996, Negotiating Equality through Ritual: A Consideration of Late Natufian and Pre-pottery Neolithic A Period Mortuary Practices. Journal ofAnthropological Archaeology 15(4):313-336. Kujit, I., 2000, People and Space in Early Agricultural Villages: Exploring Daily Lives, Community Size, and Architecture in the Late Pre-Pottery Neolithic. Journal ofAnthropologi-cal Archaeology 19. Kujit,I.,inpress, Meaningful Masks: Death, Authority, and the Transmission of Social Memory in Early Agricultural Villages of the Near Eastern Pre-Pottery Neolithic. In SocialMemory, Identity, and Death: Intradisciplinay Perspectives on Mortuary Rituals. M. S. Chesson (ed. ), American Anthropological Association, Archaeology Division, Vol. 10. American Anthropological Association, Washington, D.C.
Kurth, G., and Röhrer-Ertl, G., 1981, On the Anthropology of Mesolithic to Chalcolithic Human Remains from the Tell es-Sultan to Jericho, Jordan. In Excavation atJericho, edited by K. M. Kenyon, British School of Archaeology, Jerusalem. Lechevalier, M., 1978,Abou Ghosh etBeisamoun, deuxgisements de VIImillenaire avant l'ere chretienne en Israel. Memoires et Travaux de Centre de Recherches Prehistoriques Francais de Jerusalem, Volume 2, Paléorient, Paris. Lévi-Strauss, C., 1983, The Way of the Masks. Translated by S. Modelski. Jonathan Cape, London. Lopatin, I., 1960, The Cult of the Dead among theNatives of the Amur Basin. Mouton, The Hague. Mahasneh, M. M., 1997, The 1995 Season at the neolithic Site of es-Sifiya, Wadi Mujib, Jordan. In The Prehistory ofJordan II. Perspectives from 1997, edited by H. G. K. Gebel, Z. Kafafi, and G. O. Rollefson, pp. 203-214. Studies in Early Near Eastern Production, Subsistence, and Environment 4. Ex Oriente, Berlin. McGuire, R. H., 1992, Death, Society, and Ideology in a Hohokam Community. Westview Press, Boulder, Colorado. McKinnon, S. 1991,From a Shattered Sun: Hierarchy, Gender, andAlliance in the Tanimbar Islands, University of Wisconsin Press, Madison, Wisconsin. Mellaart, J., 1967, Çatal Höyük, a Neolithic Town in Anatolia. McGraw-Hill, New York. Metcalf, P., and Huntington, R., 1991, Celebrations of Death. Cambridge University Press, Cambridge. Moore, A,, 1985,The Development in Neolithic Societies in the Near East. In Advances in World Archaeology, edited by F. Wendorf and A. E. Close, pp. 1-69. Academic Press, New York. Myers, F. R., 1986, Reflections on a Meeting: Structure, Language, and the Polity in a Small Scale Society. American Ethnology 13:430-447. O'Shea, J. M., 1984, Mortuary Variability: An Archaeological Investigation. Academic Press, New York. Omura, M., 1984, A Reinterpretation of Figurines from Çatal Höyük. Orient 20:129-155. Özdögan, M., and Özdögan, A,, 1989, Çayônû. Paléorient 15:65-74. Paynter, R., 1989, The Archaeology of Equality and Inequality. Annual Review ofAnthropol-ogy 18:369-399. Plog, S., 1995, Equality and Hierarchy: Holistic Approaches to Understanding Social Dynamics in the Pueblo Southwest. In Foundations of Social Inequality, edited by T. D. Price and G. M. Feinman, pp. 189-206. Plenum, New York. Price, T. D.; 1995, Social Inequality at the Origins of Agriculture. In Foundations of Social Inequality, edited by T. D. Price and G. M. Feinman, pp. 129-151. Plenum, New York. Radcliffe-Brown, A. R., 1964, The Andaman Islanders. Free Press, New York. Rayner, S., 1988,The Rules That Keep Us Equal: Complexity and Costs of Egalitarian Organization. In Rules, Decisions, and Inequality in Egalitarian Societies, edited by J. G. Flannagan and S. Rayner, pp, 20-42. Gower, London. Rollefson, G. O., 1983, Ritual and Ceremony at Neolithic 'Ain Ghazal, Jordan. Paléorient 9(2):29-38. Rollefson, G. O., 1987, Local and Regional Relations in the Levantine PPN Period: 'Ain Ghazal as a Regional Center. In Studies in the History and Archaeology ofJordan, edited by A. Hadidi, pp. 2-32. Amman: Department of Antiquities of Jordan. 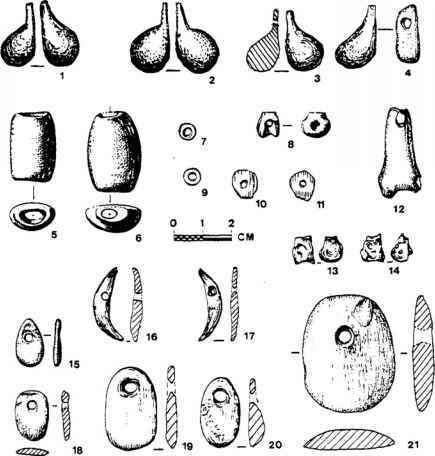 Rollefson, G. O., Simmons, A. H., and Kafafi, Z., 1992 Neolithic Cultures at 'Ain Ghazal, Jordan. Journal of Field Archaeology 19:443-470. University of Pennsylvania, Philadelphia. Waterson, R., 1995, Houses and Hierarchies in Island Southeast Asia. In J. Carsten and S. Hugh-Jones (eds. ), About the House: Lévi-Strauss and Beyond, pp. 47-68. Cambridge University Press, Cambridge. Weiner, A. B., 1976. Women of Value, Men of Renown. University of Texas Press, Austin.